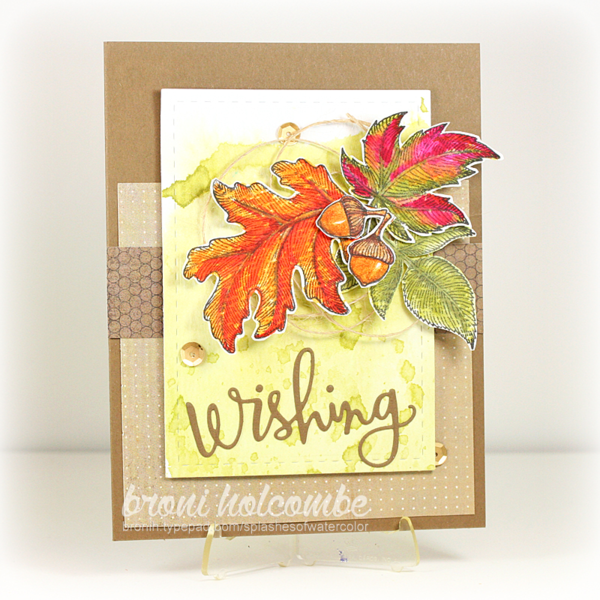 Broni's gorgeous Fall card stole my heart! The beautiful watercolored background is perfect to showcase the spectacular leaves!!! They just pop right off the card! Congratulations, Broni, you made my sketch shine this week! Winners, be sure to collect your badges here. We hope you will come back tomorrow for a seasonal theme challenge from Joanne! All of the selections are gorgeous, but the headlines is a stunner. Congrats to all. Woohoo! Beautiful cards picked this week.....I am delighted to be among them! Thank you! Thanks LeAnne for choosing my card this week. To all the DT that made such nice comments on my blog, thanks as well. To Broni, your card is truly beautiful and congrats on being chosen as the Head Liner this week. Finally, congrats to all the other "Cut Above" stampers this week. Congrats to all the winners...the cards are just awesome!! Thank you so much Jodi for picking my card! Congrats to Broni and all of the "Cut Aboves"!